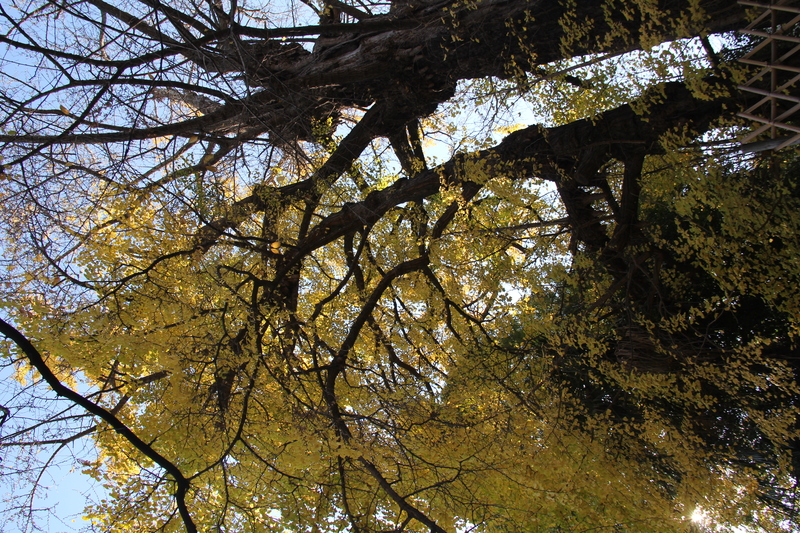 This is a giant ginkgo tree, Ginkgo biloba L., standing on a hill of the left bank of the Otonashi river (syakujii river).Although the top part of the trunk is damaged, the trunk circumference is 5.2 m, the height is 24.2 m and it has a natural form. Asukayamanohi (description on a stone, designated a tangible cultural heritage of Tokyo) in Asukayama park tells the origin of Oji shrine. According to the description, Toyoshima contributed to found the shrine between 1321 and 1324. It is not certain but if this Icyou was planted at that time, it would be almost 600 years old. Due to wars, many things including the shrine building and a big castanopsis tree, (it is believed that Doukan Oota took shelter under it during rain) were destroyed. 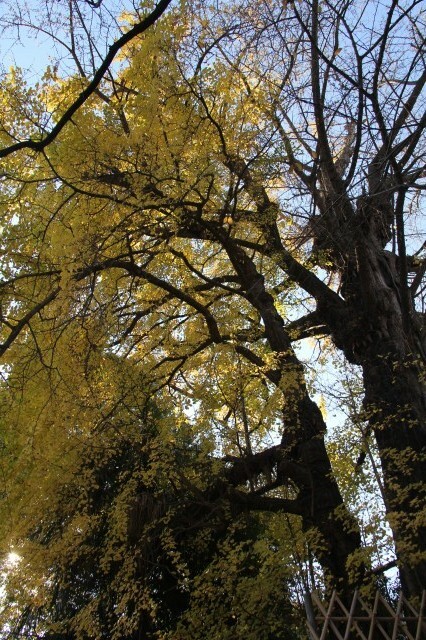 However, this ginkgo has survived and stands on the hill as if it calmly watched the transition of Tokyo.